Nationally recognized after a rigorous peer review process in the Martindale-Hubbell® Bar Register of Preeminent Lawyers™ as AV® Preeminent™ Peer Review Rated by Martindale-Hubbell®, the highest rating for legal ability and ethics. Clear explanations of complex legal issues in “plain English” are Mr. Pascoe’s trademark. Clients find that he is easy to talk to and skilled in putting a problem into perspective, which helps alleviate his clients’ concerns and apprehensions. When you meet to discuss your legal issue, he will give you a realistic evaluation of your legal matter so that you will know what to expect in moving forward with your case. Mr. Pascoe believes in being honest and up front with you. He tells it like it is – both the good and the bad. He maintains regular contact with clients to keep them updated as to the status of their legal matters and returns telephone calls promptly. William R. Pascoe’s practice focuses on business and personal bankruptcy and bankruptcy alternatives which include out of court workouts with creditors. He was admitted to practice law in California in 1972. 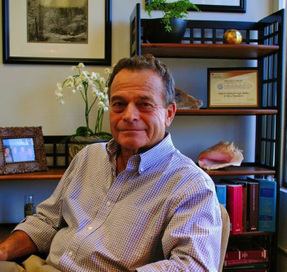 He was a partner in a major firm in San Francisco before starting his own firm in Marin in 1979. He attended the UC Santa Barbara, Oxford University, England, and obtained his law degree from Harvard Law School in 1972. He received a commission as a Naval Officer in the Judge Advocate General Corp (JAG) and served as a Congressional staffmember in Washington D.C. He has three grown sons and is a grandfather. He enjoys outdoor activities including gardening, backpacking, and hiking in West Marin. He is has been active in alumni affairs at UC Santa Barbara where he has served as President of the Alumni Association, a member of the Board of Trustees and presently serves as a member of the Alumni Association Past President’s Council.